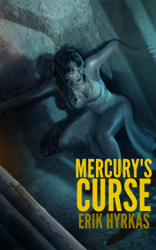 Author of Soul Cycle, Tritium Gambit, and Mercury's Curse. 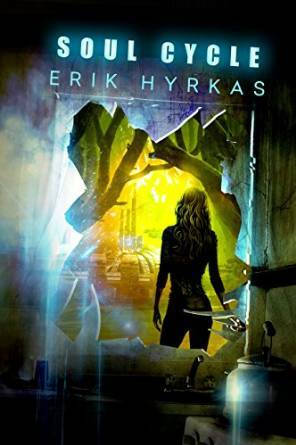 Find Erik's books on Amazon.com. Brit would never forget the screaming infants made when she attached their souls. Maybe she was in Hell. She didn’t know. She wasn’t alone in this terrible place, her husband and friends were here too. All because of one stupid mistake she had made. For most people, regret was limited to a single lifetime, but she was going to have regret forever. Agents Max and Miranda fall tonsil-deep into betrayal. On their first mission together, Max and Miranda hunt a predatory alien on Earth. Max has survived missions through sheer indestructibility and persistence, but this has cost the lives and limbs of less durable teammates. This time, he is determined to keep his new partner alive. When Max becomes dinner for an alien ruler, Miranda begins doubting her decision to become an agent. A threat grows with every bite. Together, Agents Max and Miranda must overcome deceit, conflicting evidence, and evisceration to stop a growing menace on Earth and apprehend a traitor to the Intergalactic Secret Service. On Earth, a fugitive scientist creates a forbidden technology—a technology with the power to move and replicate living beings across vast distances. A technology every intergalactic government will seek to control or to destroy. Loyal and fierce, Agent Max Anderson will do anything to protect his partner, Miranda. 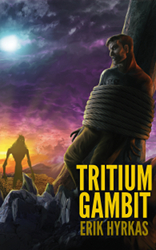 His regenerative abilities make him one of the toughest agents alive—until he's deatomized. Copyright 2015 Erik Hyrkas. All rights reserved.